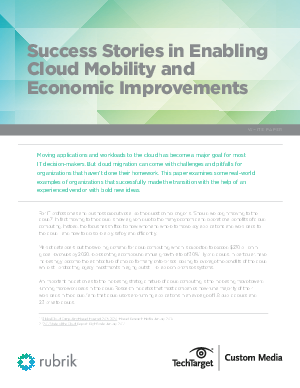 Moving applications and workloads to the cloud has become a major goal for most IT decision-makers. But cloud migration can come with challenges and pitfalls for organizations that haven’t done their homework. This paper examines some real-world examples of organizations that successfully made the transition with the help of an experienced vendor with bold new ideas.